Colorado Springs has a population of over 400,000 people, making it the 2nd most populous city in the entire state of Colorado. Colorado Springs was named the Number 1 “Best Places to Live” in the Big Cities category of Money Magazine in 2006. In 2009, it won the same honor from Outside magazine. The city is known for being located in the mountains, and is at some points over one mile above sea level. Colorado Springs has a large tourism base, and because of that, is one of the most visited cities in all of Colorado. Colorado Springs' Northwest Colorado Springs neighborhood has many of the city's prettiest apartments for rent, that fine dining room (or whatever your dream interior looks like) is waiting for you on MyNewPlace! Apartment living in neighborhoods like Northwest Colorado Springs is just one of a bunch of things you can learn about from the MyNewPlace's apartment blog. Think this is the only Colorado Springs neighborhood for you? Check nearby neighborhoods below to see all your options. Want to start searching right away? Check out floor plans, photos, maps and videos on MyNewPlace! Best of luck in your search! Tons of the most cost effective rentals in Colorado Springs can be found in the Powers neighborhood and you will find this neighborhood full of friendly people and convenient amenities. Looking for that perfect apartment but have a specific spending limit? No worries - our apartment finder will help you look for that impeccable Powers apartment for rent that will meet your needs and fit your budget. The MyNewPlace apartment guide can help you not only learn about living in apartments in Powers but also other neighborhoods throughout Colorado Springs. Want to learn more before deciding if Powers is the neighborhood for you? Get started now. Browse through the above 'popular rentals' listings in your new neighborhood in Colorado Springs! Good luck finding your new place! Try Colorado Springs' East Colorado Springs neighborhood for several of the city's best apartments for rent, that great dining room (or whatever your dream interior looks like) is waiting for you on MyNewPlace! Looking for that perfect apartment but have a specific spending limit? No worries - our apartment finder will help you search for that unequaled East Colorado Springs apartment for rent that will meet your needs and fit your budget. Use our "Ask a Question" feature on this page to get answers about Colorado Springs' neighborhoods from our local experts! Best of luck in your search! Try Colorado Springs' West Colorado Springs neighborhood for a lot of the city's nicest apartment rentals, let MyNewPlace help you finally find that perfect bathroom you've been looking for. Want to start searching right away? Check out floor plans, photos, maps and videos on MyNewPlace! Best of luck in your search! Some of the most cost effective apartments for rent in Colorado Springs can be found in the Southwest Colorado Springs neighborhood and MyNewPlace can help you find ones with a variety of great interiors such as a beautiful bedroom! Let MyNewPlace help you search for that unequaled apartment that meets both your needs and your budget. Use our "Ask a Question" feature on this page to get answers about Colorado Springs' neighborhoods from our local experts! Best of luck in your search! Southeast Colorado Springs has a lot of the best apartment rentals in Colorado Springs and you will find this neighborhood full of friendly people and convenient amenities. Looking for that perfect apartment but have a specific spending limit? No worries - our apartment finder will help you locate that unequaled Southeast Colorado Springs apartment for rent that will meet your needs and fit your budget. The apartment rentals in Colorado Springs' Old Colorado City neighborhood are a lot of the nicest in the city. You can also use our apartment blog to learn more about apartment living in general. Old Colorado City is a great place in which to find your new Colorado Springs apartment. Want to learn more about Old Colorado City? Check up on MyNewPlace for local tips and insider information. Colorado Springs has many great rentals and some of the cutest can be found in North Colorado Springs, regardless of whether you want a great bedroom or a laundry room. Use our "Ask a Question" feature on this page to get answers about Colorado Springs' neighborhoods from our local experts! Best of luck in your search! Lots of the nicest rental apartments in Colorado Springs can be found in the Downtown / Central Colorado Springs neighborhood regardless of whether you want a convenient pantry or a hardwood floored interior. Let MyNewPlace help you find that spotless apartment that meets both your needs and your budget. Colorado Springs has many different neighborhoods, and Briargate has some of the prettiest apartments! Have specific needs or a limited budget? Click the search button above, then select the rent range and other amenities that meet your needs. You can get many answers to your Briargate apartment questions by clicking through to floor plans, maps, photos and videos on each property's details page. Has the time come for you to get out of the dorm and move into an off campus UCCS apartment? Perhaps the options available from the Union County College housing office no longer meet your needs and you would like to find a cheap apartment close to the UCCS campus. If so, you can search for off campus Union County College apartments with MyNewPlace's college housing search. Although Union County College student housing may be very conveniently close to campus, moving to an off campus apartment can be a great way to save money, put some distance in between yourself and an RA, get accustomed to living in your own apartment and building up rental history. UCCS apartments for rent are available close to campus and in other neighborhoods around Colorado Springs, Colorado . Using our map based university apartment finder, you can find off campus housing near campus to ensure you can still get to all the UCCS Boomer games and make it to class on time. We can help you find off campus UCCS apartments that will best suit your collegiate lifestyle; search Union County College apartments by the number of bedrooms, price, neighborhood or a range of other amenities. Have more questions? Check out our articles with renter tips in our apartment guide and search through http://www.uccs.edu/. Has the time come for you to get out of the dorm and move into an off campus NAU apartment? Perhaps the options available from the National American University housing office no longer meet your needs and you would like to find a cheap apartment close to the NAU campus. If so, you can search for off campus National American University apartments with MyNewPlace's college housing search. Although National American University student housing may be very conveniently close to campus, moving to an off campus apartment can be a great way to save money, put some distance in between yourself and an RA, get accustomed to living in your own apartment and building up rental history. NAU apartments for rent are available close to campus and in other neighborhoods around Colorado Springs, Colorado. Using our map based university apartment finder, you can find off campus housing near campus to ensure you can still get to all the NAU Marvin the Maverick games and make it to class on time. We can help you find off campus NAU apartments that will best suit your collegiate lifestyle; search National American University apartments by the number of bedrooms, price, neighborhood or a range of other amenities. Have more questions? Check out our articles with renter tips in our apartment guide and search through http://www.national.edu. Has the time come for you to get out of the dorm and move into an off campus CC apartment? Perhaps the options available from the Colorado College housing office no longer meet your needs and you would like to find a cheap apartment close to the CC campus. If so, you can search for off campus Colorado College apartments with MyNewPlace's college housing search. Although Colorado College student housing may be very conveniently close to campus, moving to an off campus apartment can be a great way to save money, put some distance in between yourself and an RA, get accustomed to living in your own apartment and building up rental history. CC apartments for rent are available close to campus and in other neighborhoods around Colorado Springs, COLORADO. Using our map based university apartment finder, you can find off campus housing near campus to ensure you can still get to all the CC Tigers games and make it to class on time. We can help you find off campus CC apartments that will best suit your collegiate lifestyle; search Colorado College apartments by the number of bedrooms, price, neighborhood or a range of other amenities. Have more questions? Check out our articles with renter tips in our apartment guide and search through http://www.coloradocollege.edu/index.asp. Has the time come for you to get out of the dorm and move into an off campus CTU apartment? Perhaps the options available from the Colorado Technical University housing office no longer meet your needs and you would like to find a cheap apartment close to the CTU campus. If so, you can search for off campus Colorado Technical University apartments with MyNewPlace's college housing search. 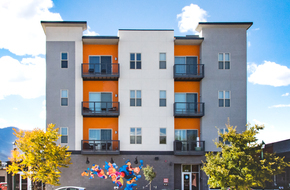 Although Colorado Technical University student housing may be very conveniently close to campus, moving to an off campus apartment can be a great way to save money, put some distance in between yourself and an RA, get accustomed to living in your own apartment and building up rental history. CTU apartments for rent are available close to campus and in other neighborhoods around Colorado Springs, COLORADO. Using our map based university apartment finder, you can find off campus housing near campus to ensure you can still get to all the CTU 0 games and make it to class on time. We can help you find off campus CTU apartments that will best suit your collegiate lifestyle; search Colorado Technical University apartments by the number of bedrooms, price, neighborhood or a range of other amenities. Have more questions? Check out our articles with renter tips in our apartment guide and search through http://www.coloradotech.edu/.